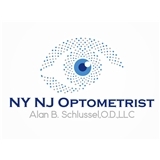 Dr. Alan Schlussel (West Orange) - Book Appointment Online! Our office offers quality professional eye care, including a comprehensive eye exam, in a private setting. Our optometrist offers expert eye care and eye exam services for your therapeutic needs such as treatment of an eye infection, diagnosis and treatment of glaucoma or help with your dry, irritated eyes. My visit to Dr. Schlussel was professional and informative. He gave me a complete examination of my eyes to help determine the problem I was having seeing at night. I satisfied that he was able to find out why I was having a problem. Dr. Schlussel advised and offered solutions to my issue. Dr. Shibley took the time to explain each part of the exam and how my eye health was critical and perhaps a leading indicator to other health problems! Her knowledge, care and patience were immense. She did not try to sell my on prescriptions or pricey lenses I did not need, as has happened to me in the past!! Amazing! She was so helpful and kind. She made sure to communicate with me and inform me of everything that she was doing to me/my eyes. She was very smart and cared about me as a patient. 5/5 would recommend!